Have you ever come across a word in a foreign language that just seems incredibly…concise? Sometimes you wonder why we need whole sentences to explain a concept in our native languages, when others are able able to capture the meaning with just a few syllables. Virtually everyone can agree that meeting your significant other’s parents for the first time is a nerve racking experience. You’re anxious to make a good impression and show yourself in a good light. 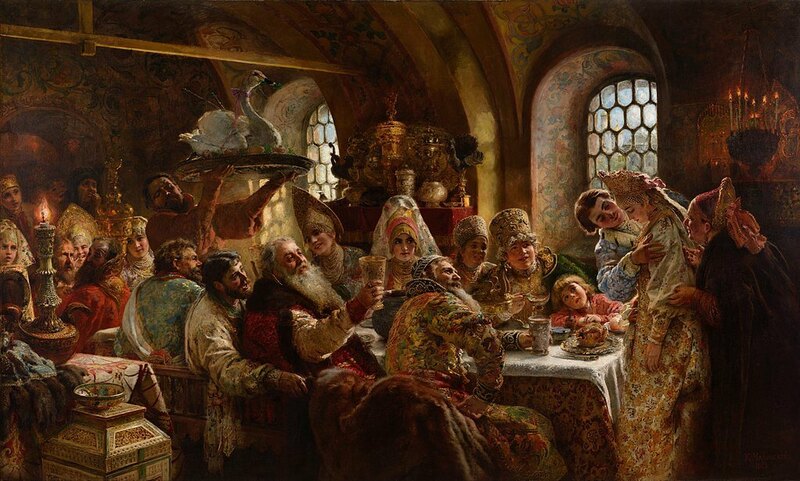 This is where the word smotriny comes in: it refers to the ancient Russian ritual whereby a women was presented to her prospective in-laws so that they could judge her suitability for marriage. If you want to get caught, steal a lot in a short space of time. If you don't, you know the best thing to do is to steal a little bit every now and again. And this is what the verb podvorovyvat means: to sneakily skim off a little bit for yourself under your boss’s nose. Mudrit means to be too clever by half. People who do this can’t seem to stop overcomplicating matters and creating problems that wouldn’t even have existed if they had just taken the easier route. It can be easy to get carried away with acquaintances and new friends and reveal too much about ourselves. We are being overly candid, and instead of bringing us closer to these people, it just creates an awkward and uncomfortable situation for them. This is what otkrovennichat means. Some people always seem to talk themselves out trouble without facing up to their actions. Otmazatsya means to use whatever method necessary – smooth-talking, bribery, passing the buck – to disentangle yourself from a difficult situation. The word’s root is related to the word for ‘grease’, showing how underhand a person who takes this course of action is. Nedopoluchat means to receive less than one’s due, and can be used in a fairly wide number of contexts. For example, it could literally refer to someone who hasn’t received the amount of money they were promised upon completion of a job. However, it can also be used figuratively to mean that you feel you didn’t get what you deserved. This rather sad word literally means to have lost one’s fragrance (of a flower, perfume, etc.) However, it is often used to refer to actors, politicians, and sportsmen who are past their prime, but instead of retiring with dignity, limp on to an ignominious end.